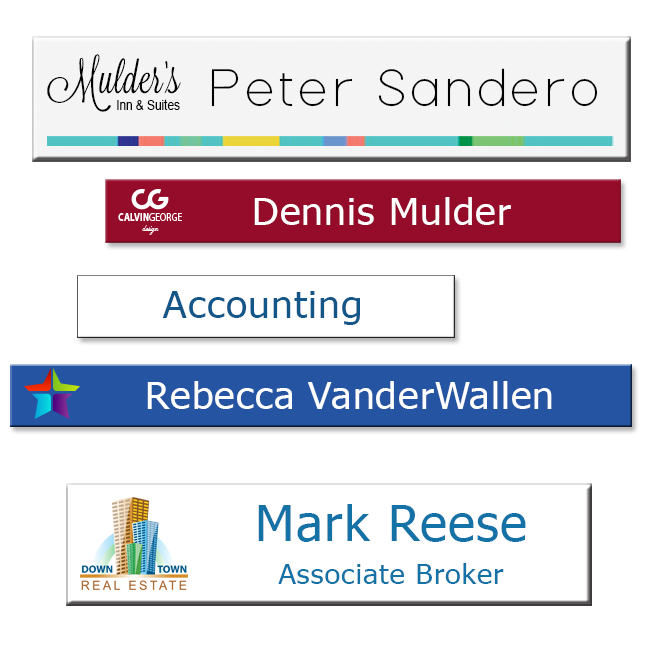 Personalized name plates with logos for a vibrant, professional look. 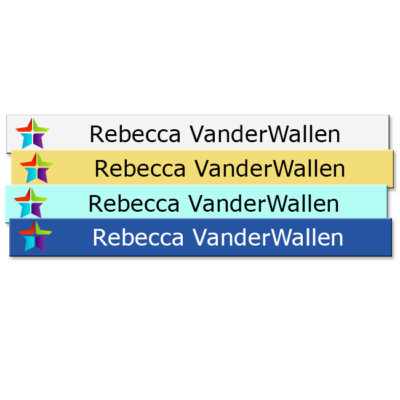 Plastic office name plates are printed in vibrant, full-color. Scratch-resistant text, logos and graphics. 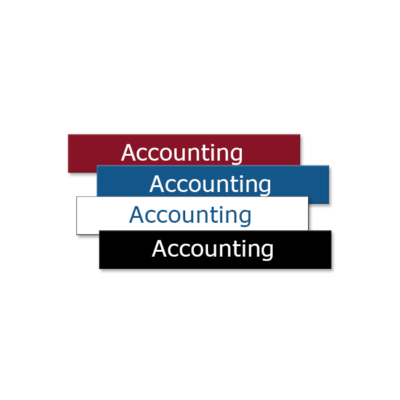 Ideal for 1 line of text, such as an employee name, suite number, or any brief text. 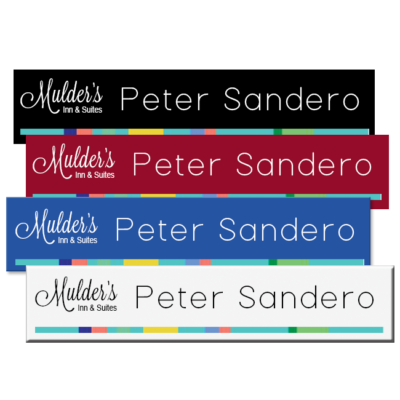 Print names in full color! 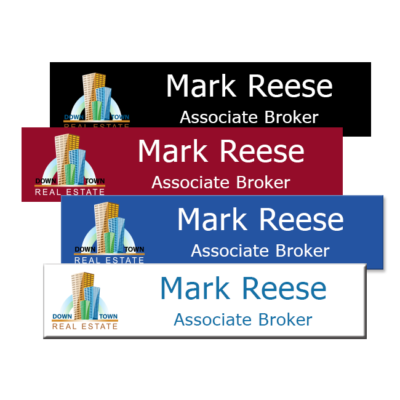 Print logos, graphics and names in full color on durable, aluminum nameplates. 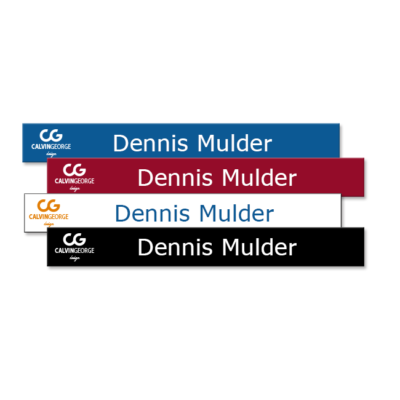 Customize in full color with logos, names and more! Full-color printing on coated aluminum for a scratch-resistant finish. 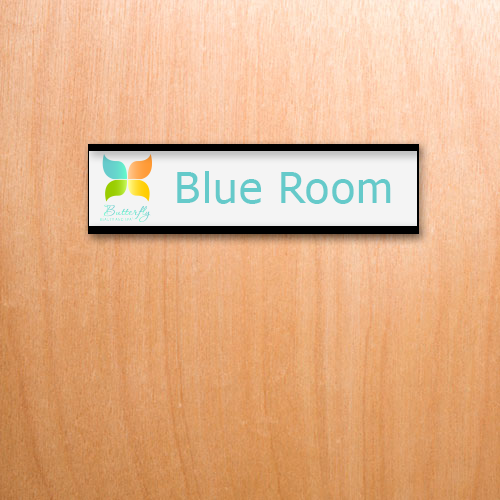 Logos, graphics, names and more printed in full-color.